Alvingham Social Club was formed in 1980 to cater for, and encourage, the social life of the villages of Alvingham and North Cockerington. Its purpose was to provide a welcoming, social atmosphere for all its members, at the lowest possible cost. Since then it has grown from strength to strength and has now become the centre of the village social scene. It continues to be a low profit making members club keeping prices for our members extremely competitive. The Social Club is separate from the Village Hall, but works closely with it, for the benefit of all the residents of the villages. It caters for all the family, within the licensing laws, and the rules of the club. The club is open to members and guests twice a week on Friday and Sunday evenings. 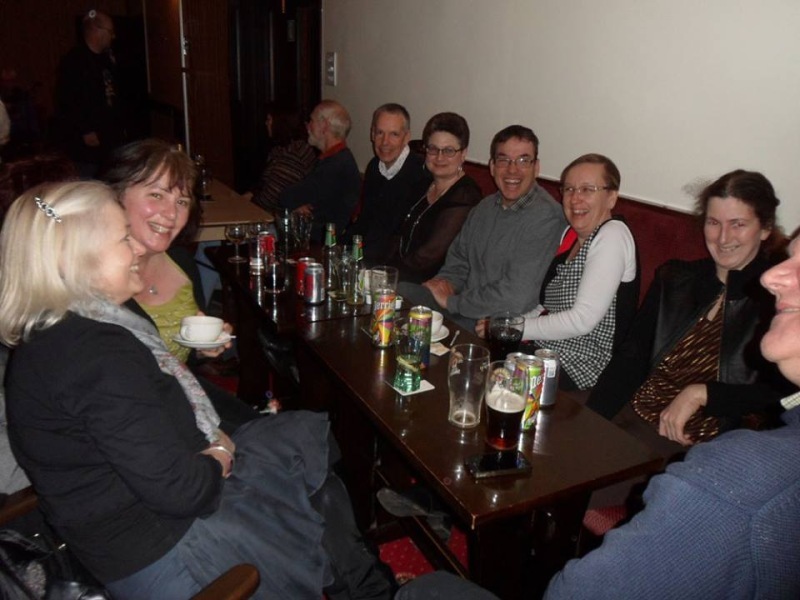 Regular activities include, Sunday night quizzes as well as regular “pub” games such as Darts, Dominoes, Poker and Pool. Every few months on a Friday night we hold an Open Mic Night for musicians to perform on stage, these are popular and well attended events. On the first Sunday of each month we have Film nights, showing all the latest blockbuster films... free of charge to members, £1 for guests. Food is an important ingredient in the life of the club. Home cooked Hot Pots are available every opening night. Friday night meals are provided once a fortnight. Draught lager and bitter is available with a selection of bottled ales and beers also sold. There is a wide selection of spirits to choose from together with various labels. A range of soft drinks are stocked as well as freshly brewed coffee and tea. The social club provides bars for all of the functions at the village hall and thanks to its well appointed and stocked bar it has become a key factor in the success in renting out the hall for parties, weddings, dances etc. Annual activities include the very popular Spring Dinner, attended by many of the members, and the popular Christmas Dinner organised by the Village Hall committee. Other events in the year include the ever popular Murder Mystery Nights, Wine Tasting nights and Race nights. If you would like to be added to the mailing list for events taking place please email fill in our mailing sign up below. Christmas is a magical time at the Social club, the hall is decorated and becomes very festive. Christmas Eve, and New Years Eve are highlights, and even Father Christmas pays a visit to all the children if they have been good! Above all, the club exists to create a warm, welcoming atmosphere. Whether you want a quiet pint with a friend, or a more lively night of dancing and celebrating, The Alvingham Social Club has it all. What does it cost? All members pay an annual subscription of just £10 which is renewed in January each year. The AGM is held in November each year. Members are encouraged to attend to participate in the running of the club. How do I join? Being a private members club, all prospective members have to be approved by the committee at their monthly meeting. To apply to become a member fill in an Application Form and then visit the club, as a guest, during opening hours to hand in it. You have to be over 18 to become a member of Alvingham Social Club. We have many members from outside the two villages. However if our membership numbers reach our limit, priority will go to Alvingham and Cockerington residents. It is as easy as that, and soon you will be part of the best kept secret in the Louth area. The Alvingham Social Club.